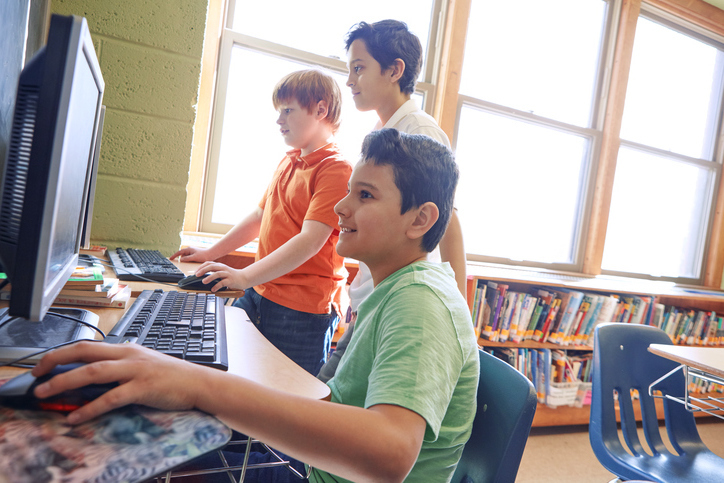 In this post, 7th grade teacher Mari Venturino talks about her favorite method of supporting a Claim-Evidence-Reasoning writing process in her classroom. Wouldn’t it be awesome if the next time your students wrote an argumentative or informative essay, they happily exclaimed “whoa!” after they finished? Today’s standards ask students to justify their reasoning not only in science and ELA classes, but also in math and social studies. In order to build up these skills, we need to scaffold the writing process for our students. Thanks to a simple online form, it’s easy for educators to make this happen. Introducing the color-coded claim-evidence-reasoning paragraph. In my own classroom, I’ve found that using this Google Form with the Google Sheets add-on Autocrat has helped all of my writers improve their writing skills. Asking students to write 5 separate sentences (Claim, Evidence #1, Reasoning #1, Evidence #2, Reasoning #2) is much less daunting than a five-sentence paragraph. For my students who are English Learners or RSP (Resource Specialist Program, a special education designation), I have found that they write significantly more with this scaffold over a paper graphic organizer. Before you read on, try it for yourself! Click here to fill out an example CER Form. Be sure to write in complete sentences; it’ll be much easier to visualize the final product when you spend an extra minute on your writing. Both the Common Core State Standards (CCSS) and Next Generation Science Standards (NGSS) emphasize making claims supported by evidence and reasoning within student writing, so whether you teach science, ELA, social studies, or another class, this is something to focus on. I find that Claim-Evidence-Reasoning is best used toward the end of a lesson or series of lessons. Students will need at least one strong source of information, although a variety of multimedia sources is preferable. Check out the library of articles and resources from Kids Discover, short informational videos from TED and TED-Ed, and local and national news websites. Before students write, have them participate in a structured discussion or investigation. Socratic Seminars, Philosophical Chairs, debates, and simulations are all great ways to engage students in critical thinking and speaking tasks to prepare for writing. It’s ok if you are not 1:1, or even 2:1. Students can prepare for writing offline, then rotate to available devices. The writing can easily be accomplished during a class period in a computer lab or with a rotating device cart. Setting up the Form takes a bit of time the first time you do it, but it is worth it! Here is a teacher resource guide and templates to get you started. You will need to make a copy of this Google Doc and this Google Form, then watch this screencast video to help you get Autocrat set up. In my classroom, when we go back to look at our work, students love how easy it is to visualize their claim, evidence, and reasoning. They are impressed with how much they wrote, and how clearly they can review their work! Good luck, and happy writing! !